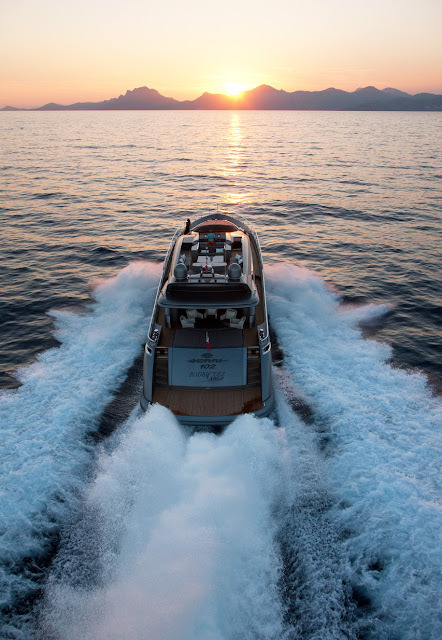 The Cerri 102 Sportfly is the latest Cerri Cantieri Navali expression of “Yachting Style”, designed to satisfy the shipowner who will not compromise on pleasures great or small. 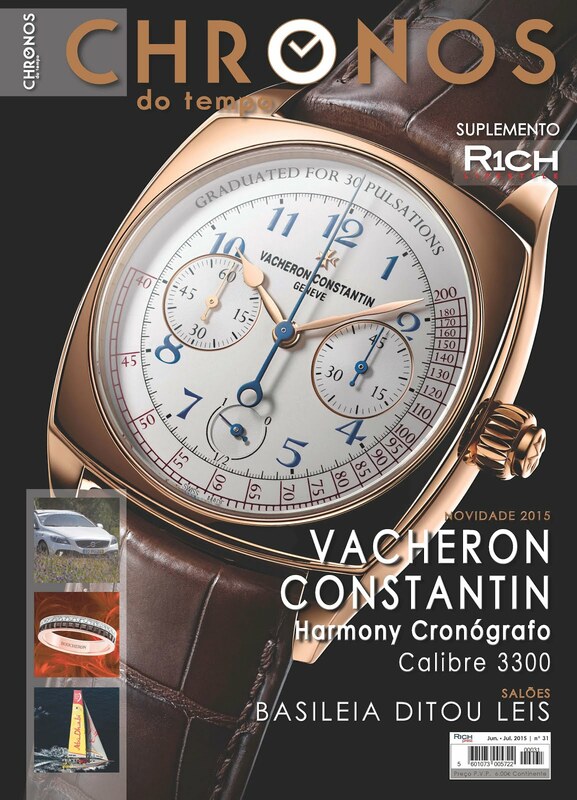 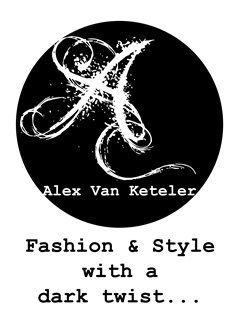 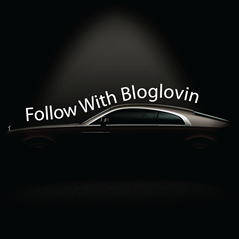 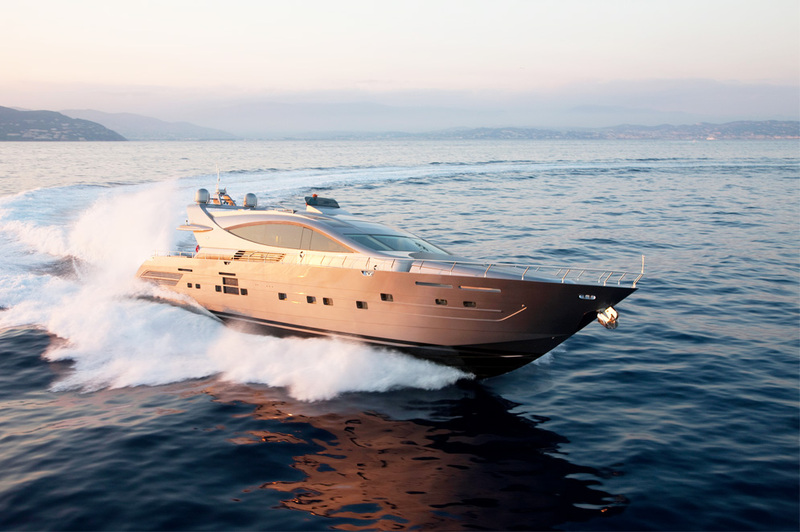 A distinct style that combines the latest technology with the highest forms of luxury. 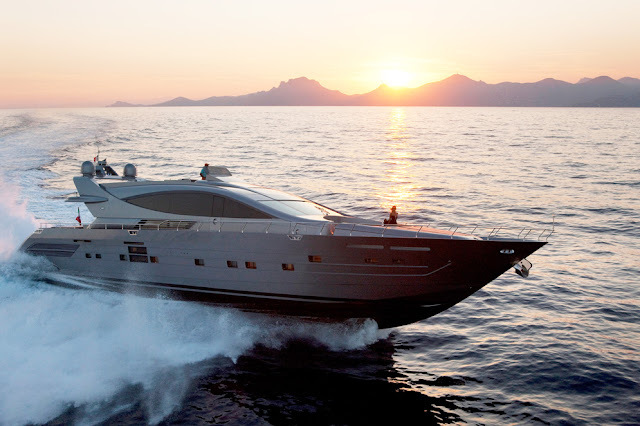 The Cerri 102 defines the contemporary yacht concept. 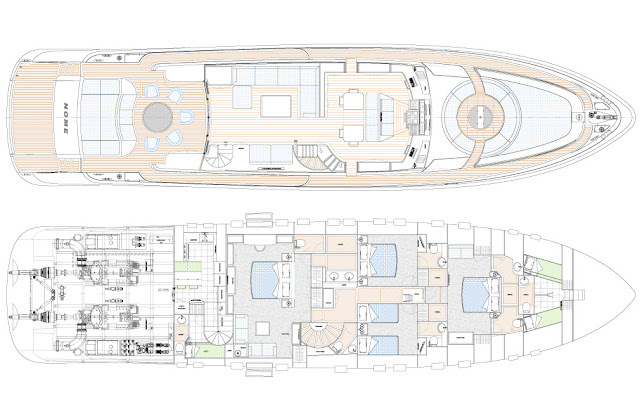 The 28 square meter flybridge is accessed via a staircase in the main hall. 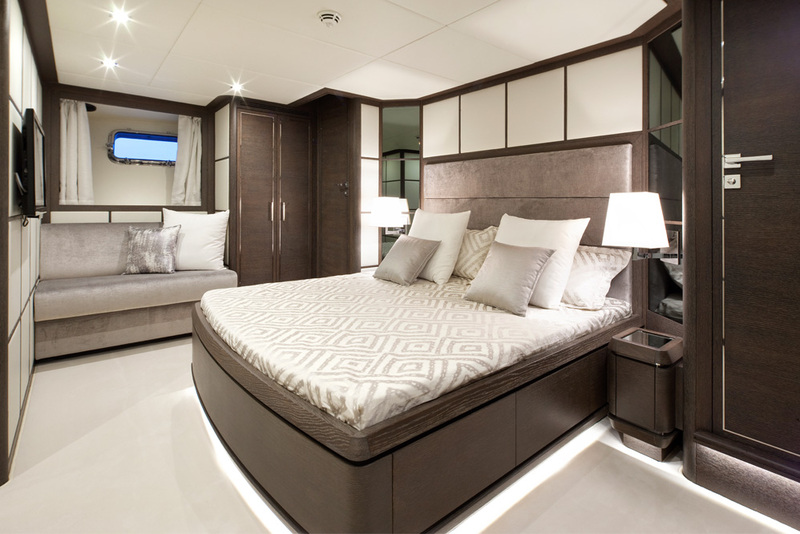 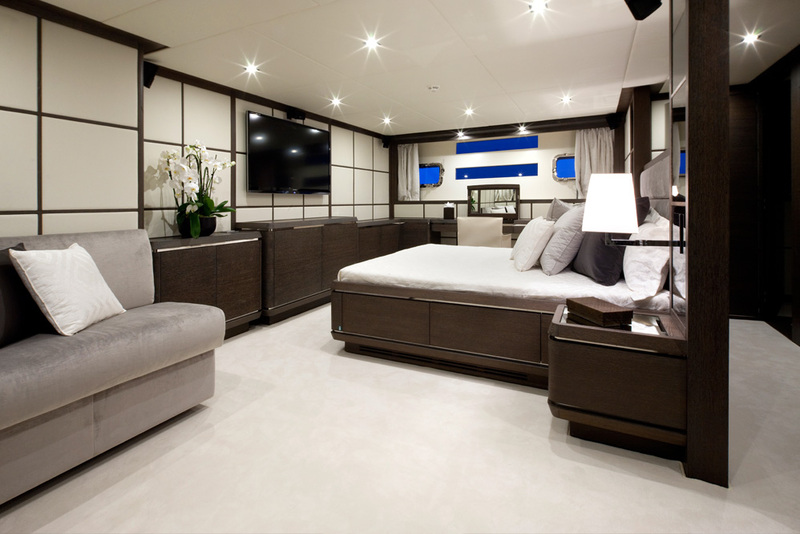 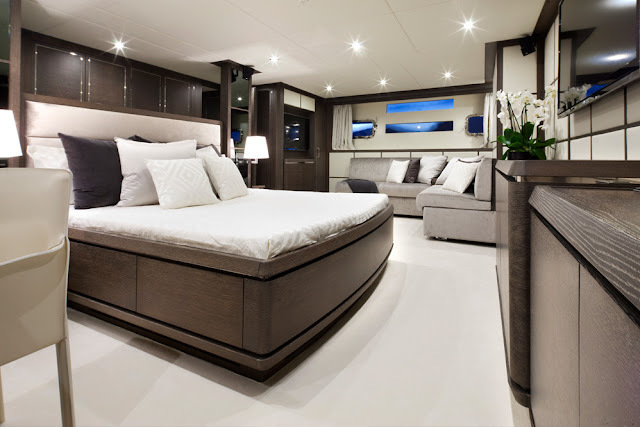 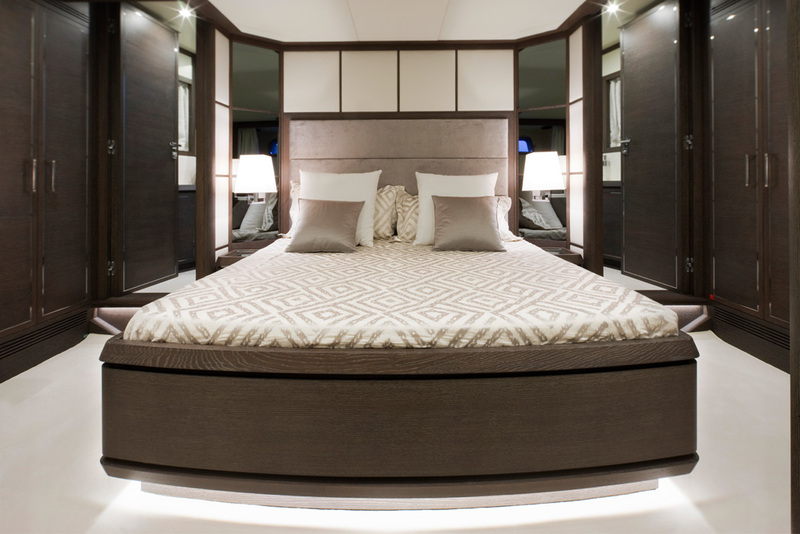 The flybridge features a forward helm station, guest lounge, and sun lounge. 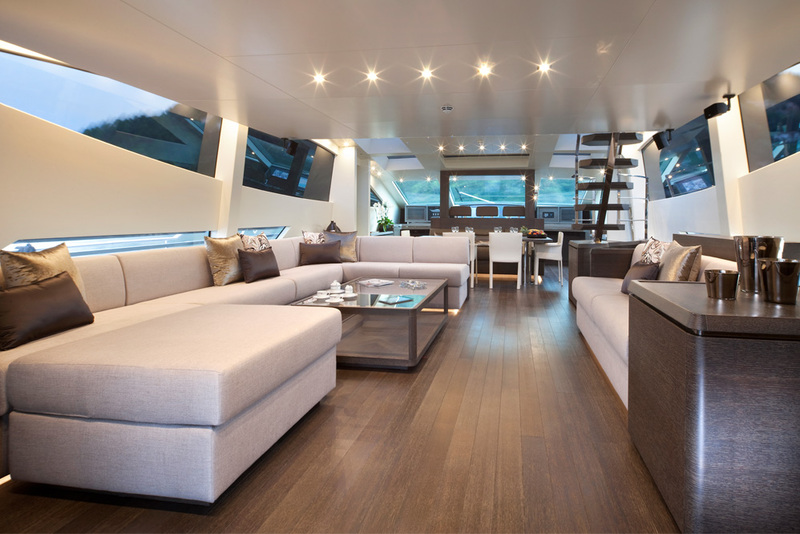 The main deck salon features a large living area with a large U-shaped sofa and forward dining room with table for 10 people. 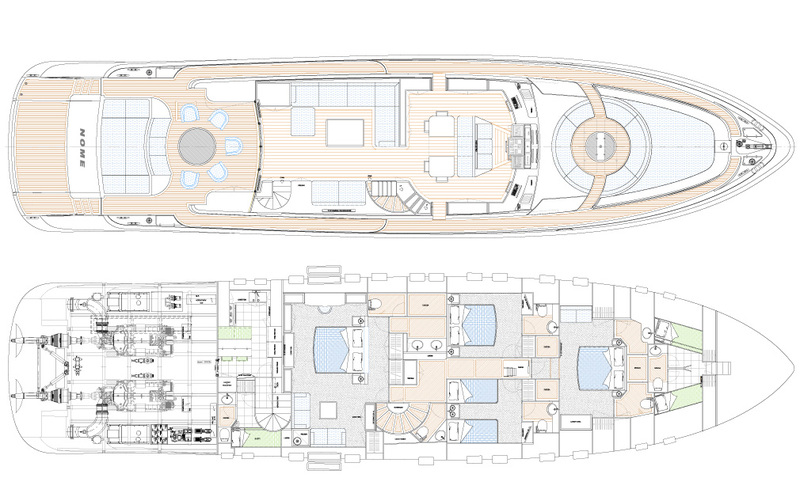 A circular stairway connects to the galley on the lower level. 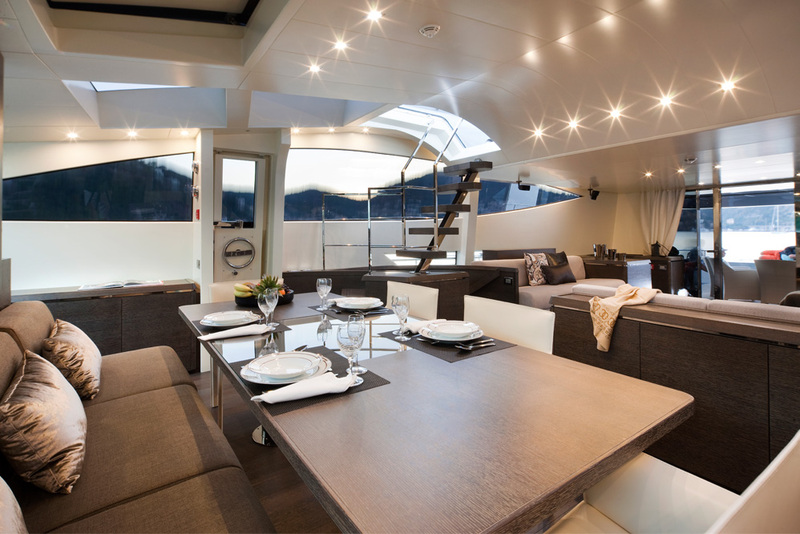 The wheelhouse is forward of the dining area with seating for three and a full helm station. The walkaround main deck features a spacious foredeck with large sun lounge and huge circular settee that can accommodate up to 20 people comfortably. 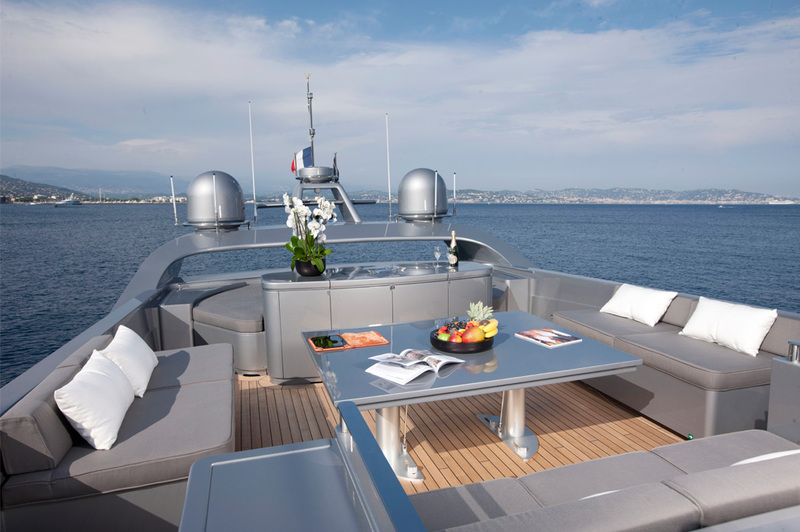 Moving aft we have a roomy cockpit with sundeck and dinette with multifunction table, Dual walkthroughs access a massive swim platform with garage for water toys, a tender and a large scooter. The lower deck features a small lounge, master stateroom, VIP stateroom, and two guest cabins one single and one double. 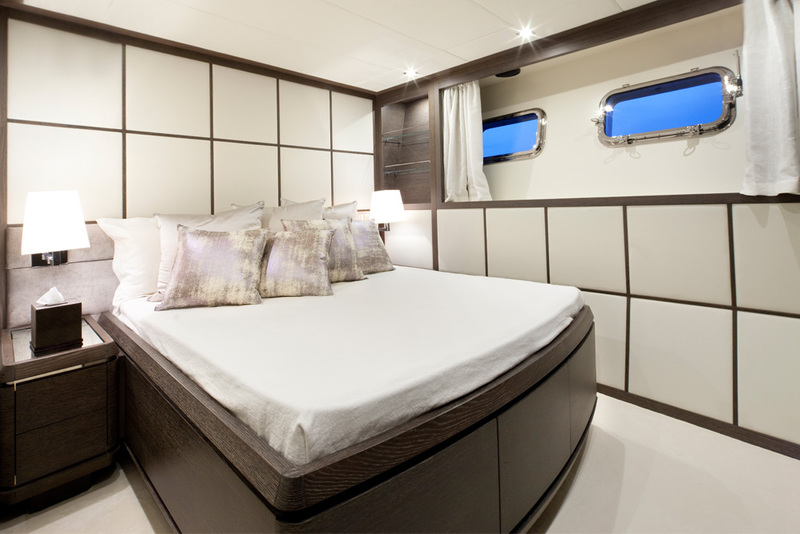 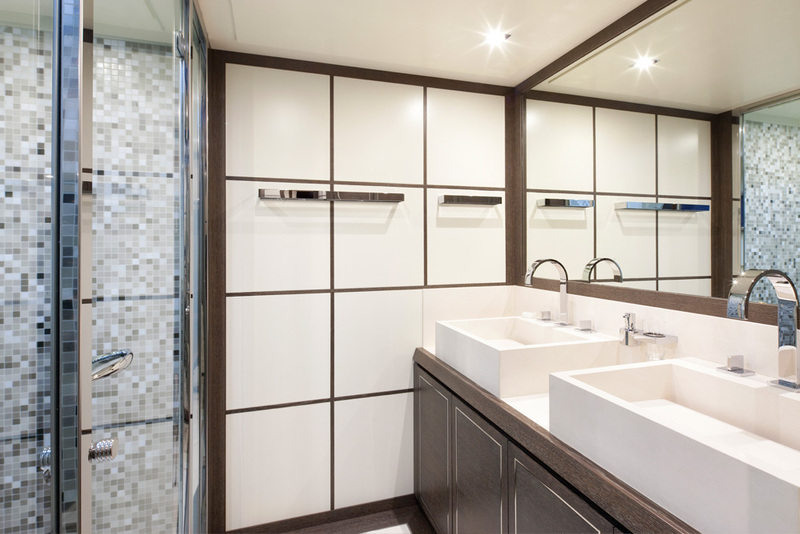 (all cabins are equipped with bathrooms with separate shower). 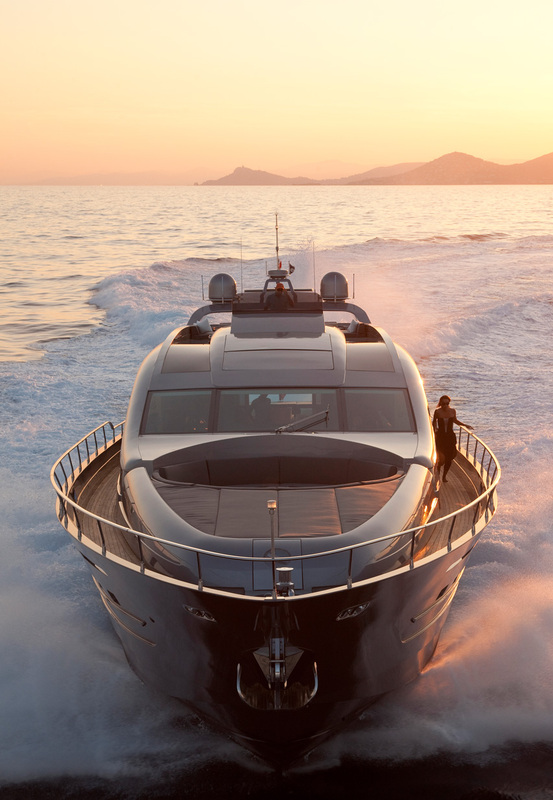 There are quarters for a crew of five. 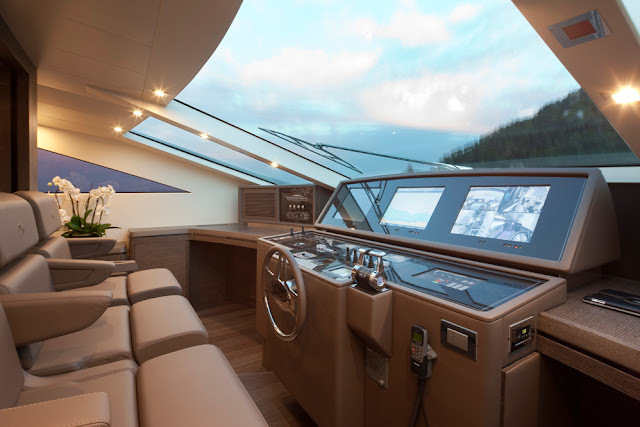 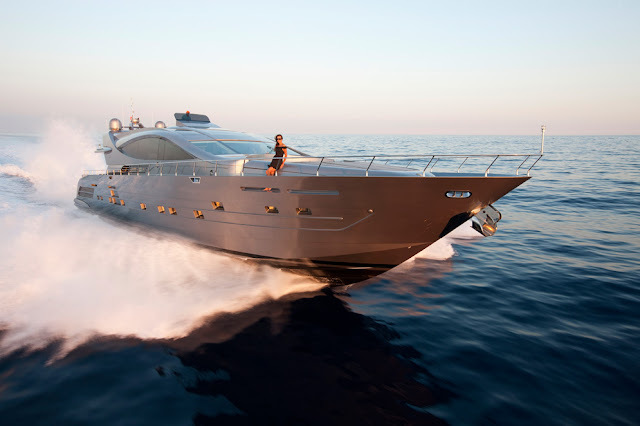 Power is provided by twin MTU 2.600 HP engines with Arneson ASD 16 L transmissions. The Cerri 120 Sportfly will attain a cruising speed of 30 knots with maximum speed of nearly 40 knots.